Image Source: Radio Free Penzance. William Hague revealed on Friday that his own staff were hit in December by data-stealing viruses, as he called for agreement on "acceptable rules" for how countries behave in cyberspace. The foreign secretary's announcement at the Munich Security Conference, which deals with international security issues, follows the revelation that the US and Israel collaborated to create the "Stuxnet" worm to disable Iran's nuclear fuel facility, and that government-backed hackers tried to break into Google's systems in 2009. Now, Britain's government is calling for agreement on how countries should behave in cyberspace. The attempt to impose rules on cyberspace may be thwarted, however, by the fact that it is almost impossible to confirm the source of hacking because it is so easy to hide one's digital footprints. Despite evidence of US, Israeli and Chinese involvement in attacks, they have never been proved. Even so, Hague has offered to host a conference on the matter and at Munich gave among examples of internet attacks on "British interests" his own staff and a defence contractor being hit by "Zeus" malware that evaded defences by pretending to come from the White House. More from the Guardian here, and BBC here. Other reports on the Zeus trojan and cyber war worries here, here, here, here and here; and related reports on cyber war threats here and here. 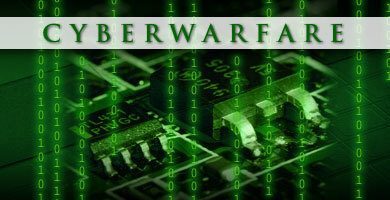 For my earlier post on the recent cyber attack on Iranian nuclear facilities, go here. 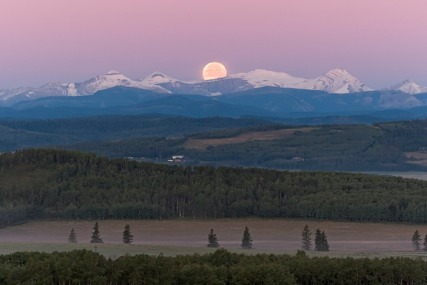 Moonset over Rockies. 28 August 2007 © By Alan Dyer. Thanks to a mailing list I'm on, I've been made aware of the personal astrophotos site of Alan Dyer, one of the top amateur astronomers in the world, co-author of The Backyard Astronomer’s Guide . You can visit it here - his pictures are just breathtakingly beautiful. This is a collection, according to Dyer, of his best celestial images taken from the 1970s onward. For more information on Dyer's work, go to BackyardAstronomy.com. 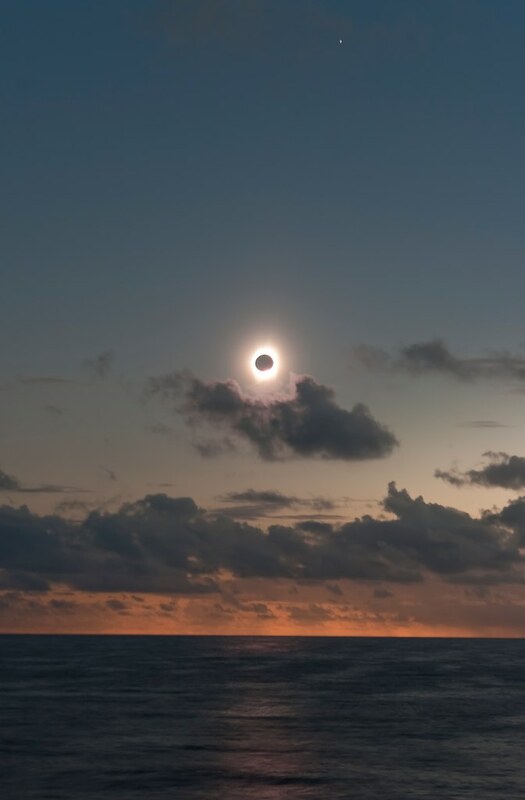 2009 Eclipse Near Third Contact. 21 July 2009 © By Alan Dyer. Image Source: Getty Images via CNN. 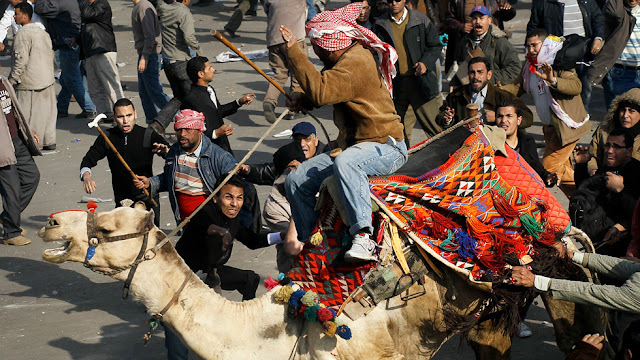 CNN Caption for the above photograph: A Mubarak supporter thunders through the crowd on a camel Wednesday. Mubarak on Thursday blamed the outlawed Muslim Brotherhood for the violence unfolding in Cairo. ABC News has compiled a list of journalists who were attacked earlier today, effectively creating a blanket information black-out, a highly unusual circumstance these days. The protestors in Egypt are largely considered to be from a new, internet-savvy generation. CNN's Anderson Cooper, Hala Gorani and Ivan Watson speculate that this may be a precursor to deeper troubles, to something "more ominous, more dangerous, more severe and potentially more violent," in Gorani's words. The Twitter hashtag #egypt is funneling a constant stream of desperate messages. Below the jump, is ABC's list of targeted journalists (all wires and noted links can be found here). 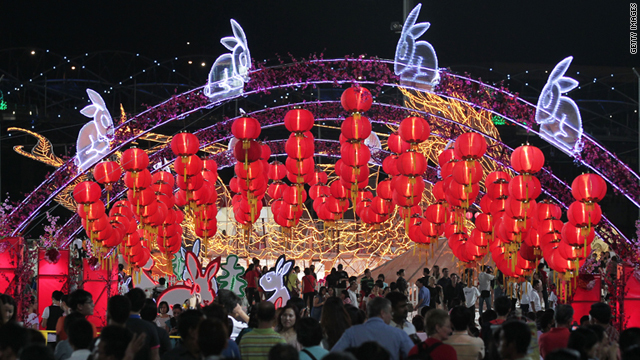 Lanterns adorn the River Hongbao Festival celebrating Chinese New Year's Eve on February 2 in Singapore. Image Source: CNN. This all sounds good. However, there is a site here that says it will in fact be negative. Where did you come from, Julian? And where are you taking us? 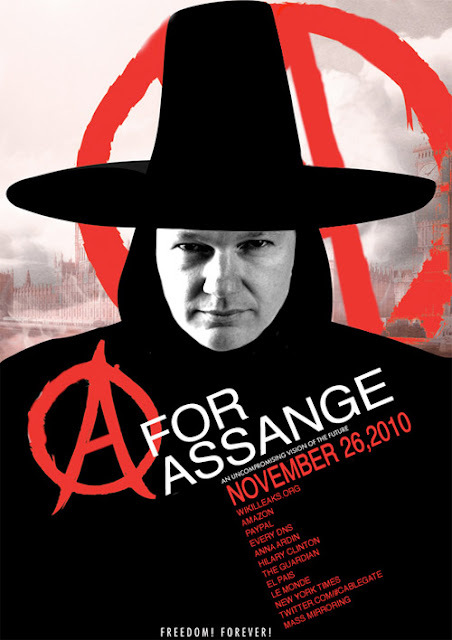 A few weeks ago, Bleeding Cool ran this story about Julian Assange's comic book fandom. Assange shares an enthusiasm for Alan Moore's V for Vendetta along with Iceland's politician, another Gen Xer, Birgitta Jónsdóttir (see her blog entry on comics here). In 1988, DC Comics reprinted V for Vendetta (it was originally printed in the UK's Warrior Magazine from 1982 to 1985); its Orwellian message influenced many Gen Xers like Assange. Unfortunately, Assange misread the message. 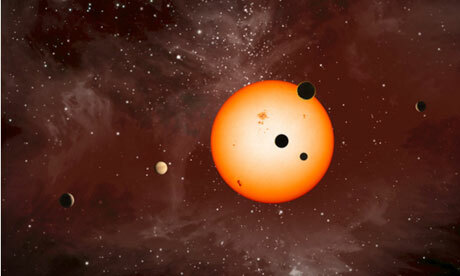 An artist's impression of the Kepler-11 planetary system. Photograph: NASA/Ames/JPL-Caltech/T Pyle/Nature Magazine. Astronomers have discovered a planetary system made up of six planets orbiting a Sun-like star that is more than 2,000 light years from Earth. It is the largest number of planets found so far around a single star. More than 100 planets have been seen outside our solar system, but most are Jupiter-like gas giants, and almost all are in single-planet systems. Jack Lissauer, a scientist at Nasa's Ames research centre in California and a lead author on a paper published tomorrow in the journal Nature, said that the Kepler-11 finding was "the biggest thing in exoplanets since the discovery of 51 Pegasi B, the first exoplanet, back in 1995". A list of papers (with links to texts) on the Kepler telescope is here. See more here and here. The telescope is getting ever closer to discovering the so-called 'holy grail' of astronomy - finding an Earth-like planet in a Goldilocks zone capable of sustaining life. 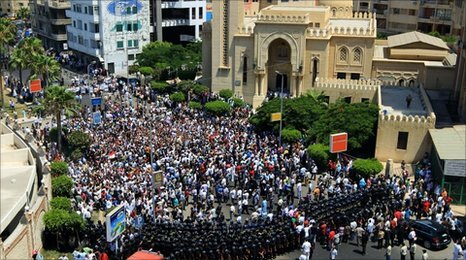 Egyptian Protests now enter their second week. Image Source: Dreams of a Typewriter. Like many people we’ve been glued to the news unfolding in Egypt and thinking of what we could do to help people on the ground. Over the weekend we came up with the idea of a speak-to-tweet service—the ability for anyone to tweet using just a voice connection. We worked with a small team of engineers from Twitter, Google and SayNow, a company we acquired last week, to make this idea a reality. It’s already live and anyone can tweet by simply leaving a voicemail on one of these international phone numbers (+16504194196 or +390662207294 or +97316199855) and the service will instantly tweet the message using the hashtag #egypt. No Internet connection is required. People can listen to the messages by dialing the same phone numbers or going to twitter.com/speak2tweet. These protests started as a reflection of the values and demands of a younger, plugged-in, tech-savvy generation that is mainly secular. You might call them Egypt's answer to Generations X and Y.
Twitter's January 25 announcement. Image Source: Fast Company. Disinformation is becoming more and more common. Usually fake or fictional information is passed off as real information. The Wall Street Journal is reporting that a Chinese broadcaster showed clips from the 1980s' movie Top Gun and reported on January 23 that they were a recent military drill. More on the report below the jump. The Terrafugia Transition. Image Source: The Observer. Finally ... this year an American company called Terrafugia will go into "low volume production" on its Transition Roadable Aircraft – a genuine, non-delusional, you-can-actually-buy-it-and-it-actually-flies flying car. It looks a bit like the Ghostbusters' vehicle with fold-out wings, and will cost something between £125,000 and £160,000. Terrafugia CEO Carl Dietrich hopes to sell 200 a year. ... Terrafugia (Latin for "escape from land") was founded by Dietrich and a team of pilots and aeronautics engineers. Partly funded by the US Department of Defence, they've been quietly beavering away on the car in Woburn, Massachussetts since 2006, and are almost ready to start selling. 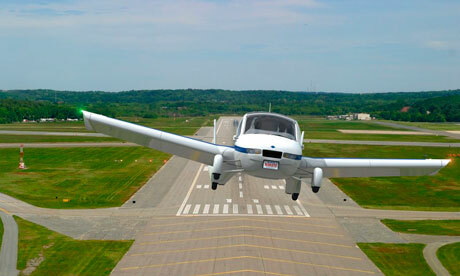 ... Owners of a new Transition will need 20 hours of flying time on record before being allowed to unfurl the car's mechanical wings and take off, but it's easy to pilot once they do – or so says Colonel Phil Meeter, the first man to fly the Transition in tests over upstate New York in 2009. ... This being an American firm, targeting American customers, Terrafugia's flying car is not without its luxuries. It has touch-screen controls in the cockpit, and the "cargo area holds golf clubs". With the wings in tucked-up mode the Transition can be filled up in any normal petrol station, and parked in any normal garage. It also has built-in parachutes. But let's not dwell on that. Terrafugia's site announces: "simply land at the airport, fold your wings up and drive home." Video of the car after the jump.